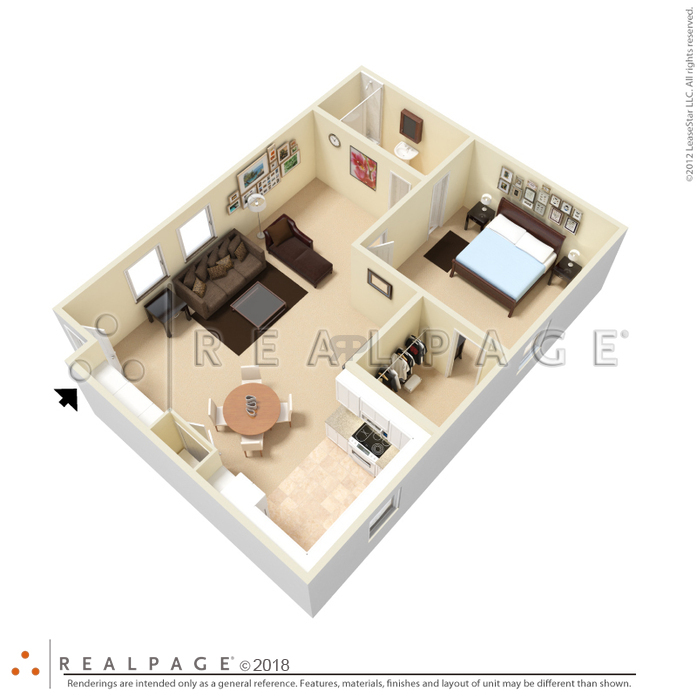 This spacious one bedroom has large living space. Washer and dryer are included. Kitchen has a unique garden window with plenty of counter space. 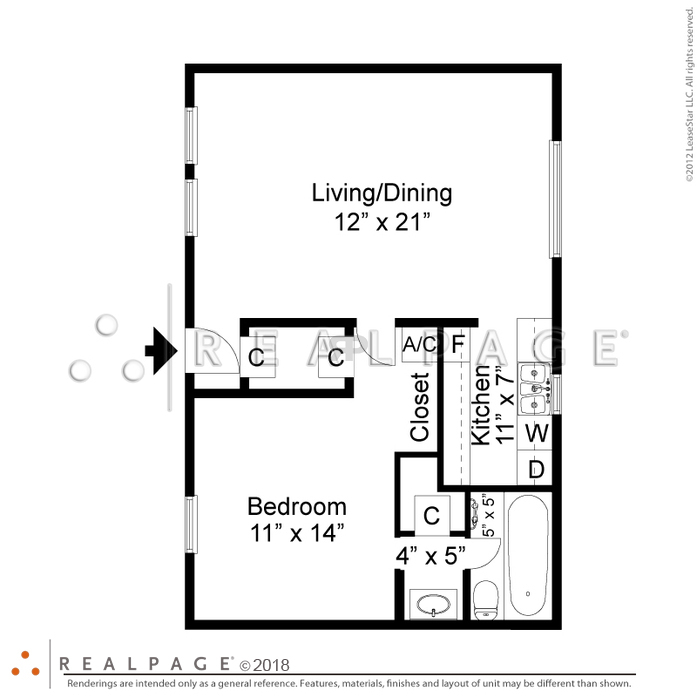 Large bedroom with full bath and vanity with extra closet space. 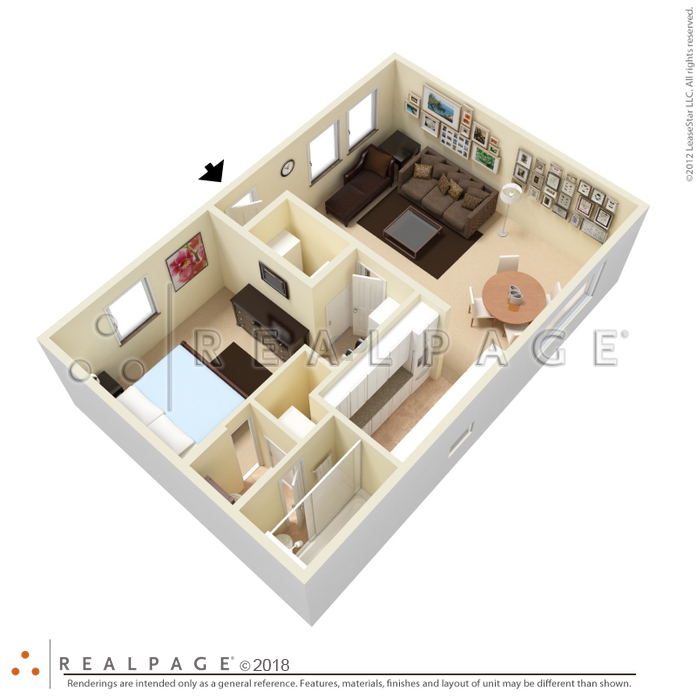 This unique one bedroom has great living space. Washer and dryer are included. You will love the oversized bathroom with garden tub and a large walk-in closet in the bedroom. A must see!! 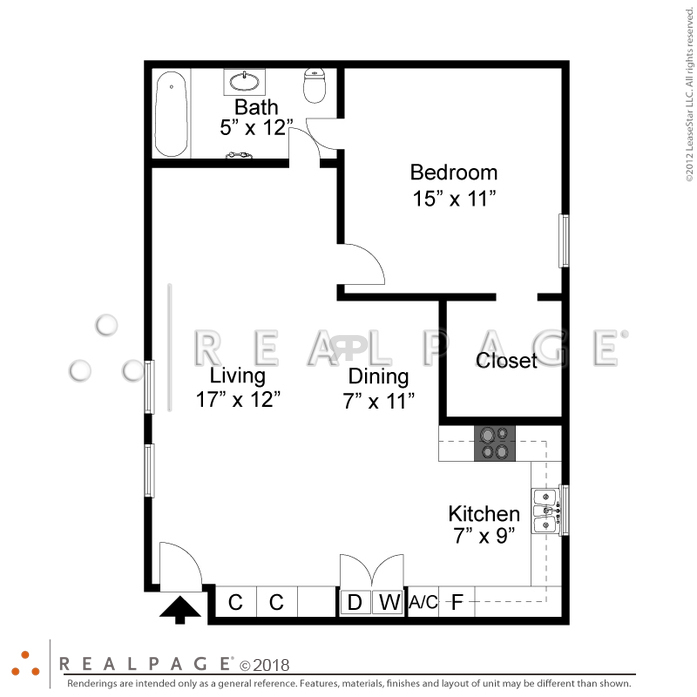 Check out the Available Floor Plans of Our Apartments near Columbus State University!